I love making yogurt at home! Buying high-quality yogurt at the grocery store is expensive and its much more cost effective to make it myself. Plus yogurt at the store is more processed, they have to in order to make it stable for transportation and to sit on the shelves for a little while. As many of you know, I really enjoy the simplicity of making these things on my own but I encourage my friends and clients to start where you can and work from there. You’ll be surprised, like I was, that many things you buy are easier to make than you think! I invested in a yogurt maker for $35 and it has been worth every penny! I also know that the Instant Pot, which is all the rage right now, can do this function as well. Yogurt is easier on the digestive system than other forms of dairy as it contains lactobacillus acidophilus which helps replenish healthy gut flora. Having healthy gut means you have a healthy immune system that can fight off invaders like bad bacteria. The process of making yogurt also naturally breaks down lactose and pre-digests casein, which can cause gut disturbances. 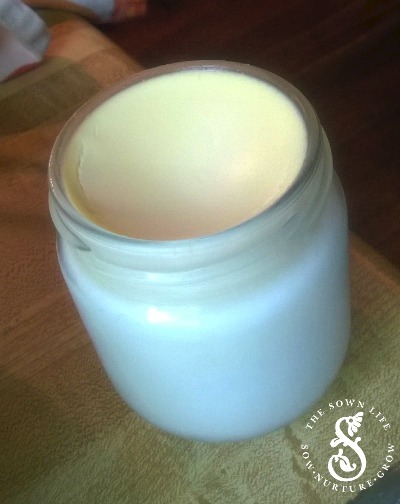 If you are allergic to milk, give homemade yogurt a try as its all around much easier to digest. Many people who are lactose intolerant have no trouble with homemade yogurt. I love to have this for breakfast topped with in-season fruit, nuts and my granola. Yummm. A half gallon of raw whole or organic milk. 1. 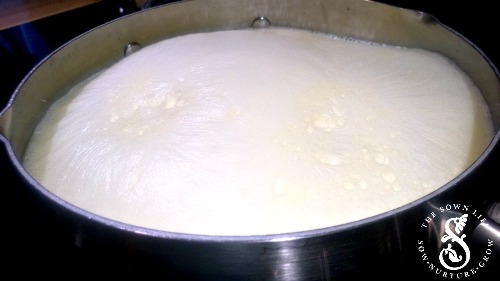 Heat milk in the pot until it comes to a boil and reaches 180 degrees and then remove from heat and let it cool. 2. Strain your milk through a wire strainer to remove any overcooked milk film. 3. Mix a bit of the milk into the yogurt or yogurt starter then whisk in the rest of the milk. Make sure that you don’t add the yogurt or starter until the milk has cooled to at least 110 degrees or the heat will kill the live cultures. 6. 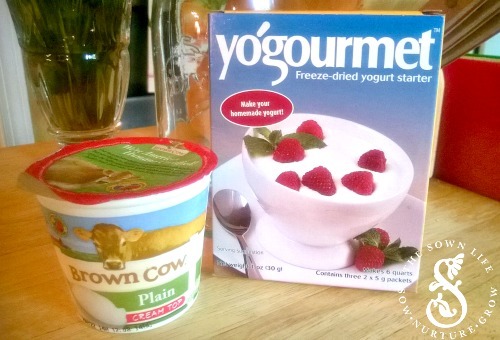 When you go to make your second batch of yogurt, you can use one of you yogurts as the starter! Heat milk in the pot until it comes to a boil and reaches 180 degrees and then remove from heat and let it cool. Strain your milk through a wire strainer to remove any overcooked milk film. 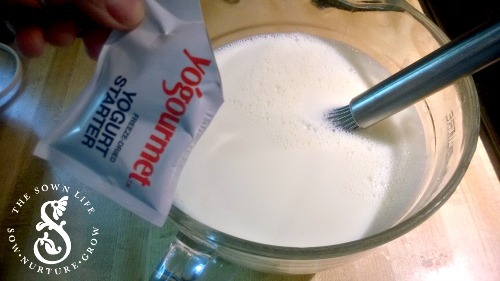 Mix a bit of the milk into the yogurt or yogurt starter then whisk in the rest of the milk. Make sure that you don’t add the yogurt or starter until the milk has cooled to at least 110 degrees or the heat will kill the live cultures. 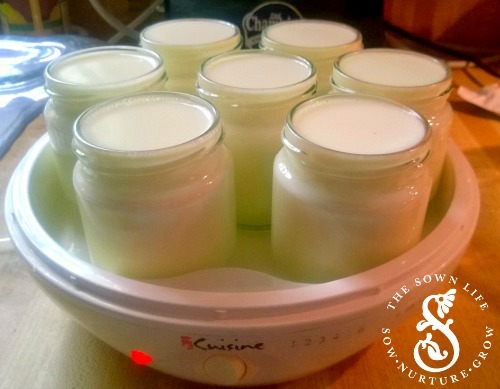 When you go to make your second batch of yogurt, you can use one of you yogurts as the starter!